The Cleveland Indians Welcome Deckshield! | Deckshield International Inc. 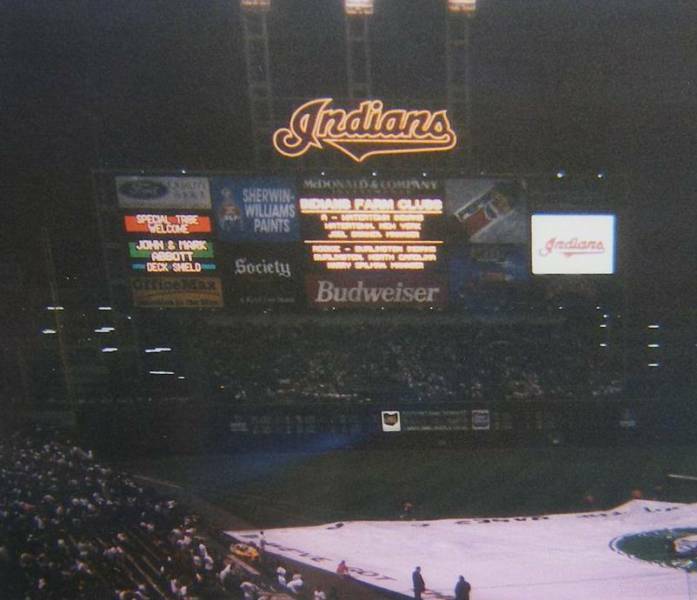 In 1996, the Sherwin Williams Company graciously invited us to join them for an Indians game. A private jet was sent to Baltimore to pick us up and we spent the day meeting with folks in the Sherwin Williams Headquarters who deal with all kinds of "protective coatings" issues. The day concluded with an evening in the Sherwin Williams Box at Jacobs Field! The picture below shows the big screen at the field welcoming us to the stadium - the photo is a little grainy but still very cool. We will always have fond memories of that day!